Merrick works closely with government agencies in the US, Canada, and around the globe to provide complex and secure science facilities for all life science needs. We provide laboratory design and commissioning, along with full engineering and architectural services. Our clients include the US Department of Agriculture, US Department of Homeland Security, World Health Organization, National Institute of Health, Canadian Food Inspection Agency, US Army Medical Research Institute for Infectious Disease (USAMRIID), and other agencies worldwide. These organizations trust us to deliver results. Let us find solutions to your next challenge. At Merrick, we craft all our projects around the science first, protecting our clients’ goals, needs, and overall mission. We’ve learned to listen first to gain understanding then provide solutions that work. Merrick’s life sciences team specializes in the high-containment requirements of BSL-3, BSL-3Ag, and BSL-4 laboratory facilities. 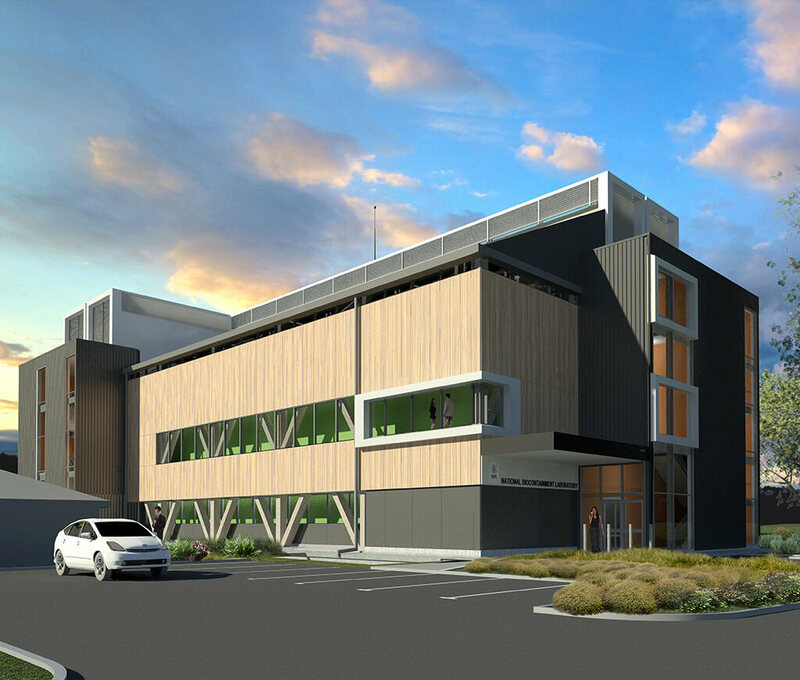 For the National Bio and Agro Defense Facility, Merrick is providing advanced and highly specialized design for this critical and secure science laboratory for the Department of Homeland Security. Merrick works on all types of research facilities, laboratories, and lab complexes with our federal and government clients.. In addition to full engineering and architectural design, we provide commissioning, forensic assessments, certification reviews, transition and operations planning, SOP development, and biosafety/biosecurity consulting.